At his death in 1894 he left his estate to his son Horace Allen. After Horace’s death in 1919, the property passed to his three daughters, Beatrice, Rosamond and Eleanor. In 1939 they divided the property into 3 parts and each of them received a parcel. Rosamond Allen received 12 ½ acers parcel known as 52D which was for many years her summer home. As Miss Allen aged, her summer to what she called “Cedar Hill” were of shorter duration, but she spent at least some of every year there from her childhood until her last stay during the summer of 1983. Her sister Eleanor Wyllys Allen had owned the adjacent piece of land known as parcel 52 C and had made provisions for it in her will to become the property of the Duxbury Rural and Historical Society, Inc. upon her death. Rosamond Allen desired that her “Cedar Hill” remain as she remembered it. She wanted the buildings and grounds to offer peace and harmony to others in the same way they had to her but could find no person or organization to guarantee her wishes. In 1980 she left her beloved summer estate to the regional Unitarian Universalist Church association for a retreat house know as Cedar Hill. On April 11th of 1981 at a dedication ceremony at Cedar Hill, Rev. Fewkes said, “Today Rosamond Allen’s dream becomes a reality as we dedicate this place to be used for the religious, educational, scientific and aesthetic purposes for which she intended. May the peace and beauty of these natural surroundings etch themselves deeply into our souls and become part of the warp and woof of our lives and our children’s lives for generations to come.” It served as a place for area Unitarian Universalist to relax and reflect for 30 years. The property was used as an overnight retreat center and a place of contemplation. The main building was insulated and fitted out with bunk beds to accommodate a steady stream of youth, retreat and family groups. There was always vibrancy to the activities at Cedar Hill that encouraged volunteerism and valued dedication. 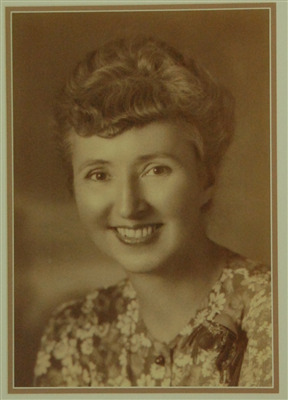 Miss Allen’s photograph hangs on the dining room wall in the Cedar Hill Retreat Center. She smiles happily; her beautiful summer retreat has been preserved and she would be immensely pleased with the results.